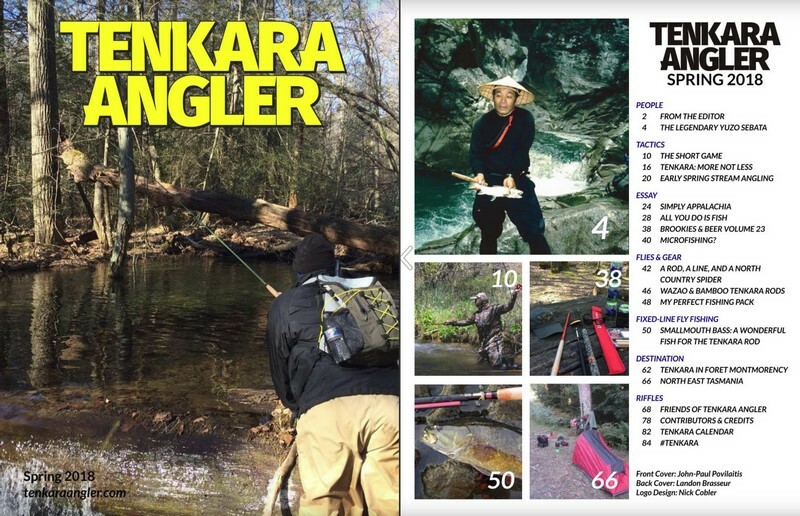 It’s my pleasure to announce that the Spring 2018 issue of Tenkara Angler magazine is now live! This issue was a lot of fun to put together... I really got sucked in by a few of the essays as I was editing them. Bob Long's piece on how to fixed-line fly fish for smallmouth bass was really interesting. Tom Davis also popped in with a "how-to" on fishing small, tight water. It's a must-read if you ask me. Besides those articles, you’ll find all the phenomenal essays, destination stories, photography, humor etc… that you’re accustomed to reading in each issue. I even embedded some video to compliment some of the entries. Make sure to crank up your computer or phone's volume when you click the Creedence Clearwater Revival link that accompanies John-Paul Povilaitis' "Brookies & Beer: Volume 23." 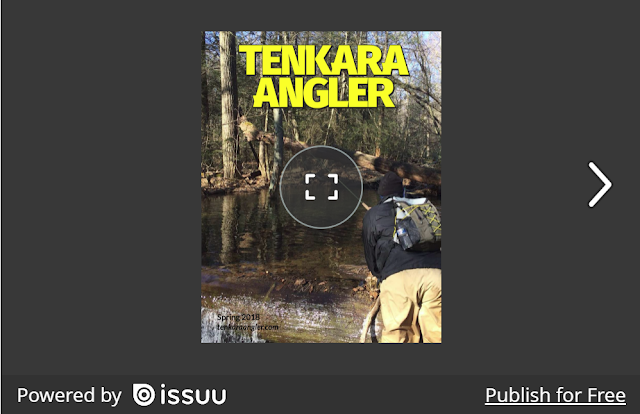 As usual, the Spring 2018 issue of Tenkara Angler will be available as a free e-magazine over at Issuu, HERE. Thanks... and sorry, nobody wrote one. Maybe next time.